DAVAO CITY (MindaNews / 09 November) – Dabawenyos and Kagay-anons outraged by the Supreme Court’s 9-5-1 ruling on Tuesday allowing the burial of the remains of the dictator Ferdinand Marcos at the Libingan ng mga Bayani (LNMB) took to the streets to express their outrage, as did thousands of similarly outraged Filipinos at the University of the Philippines in Diliman, Ateneo de Manila University in Quezon City, in Cebu, Makati and Los Banos. 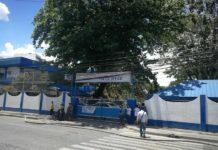 In Cagayan de Oro City, Kagay-anons gathered spontaneously in Divisioria to register their disgust. Those who participated were a “rainbow” of forces – from the militant left, the moderates, the “yellows” and students. Mags Maglana, spokesperson of Konsyensya Dabaw said the protest action, like the four earlier protest actions staged by Konsyensa Dabaw since mid-August, is to remind everyone that Marcos is no hero, that thousands of victims of martial law are still seeking justice, that what the Marcoses stole from the Filipino people should be returned and that President Duterte should also address the historical injustices committed under the Marcos dictatorship. Marcos, elected President in 1965, was reelected in 1969. Before ending his second and last term in 1973, he declared martial law in 1972 and was ousted by People Power in February 1986. He lived in exile in Honolulu, Hawaii and passed away on September 28, 1989. It took four years before his body could be flown back to the Philippines – on September 7, 1993, under the administration of Fidel Ramos, Marcos’ cousin. Marcos’ remains are still encased in a glass for public viewing at the Marcos Museum and Mausoleum in Batac, Ilocos Norte. 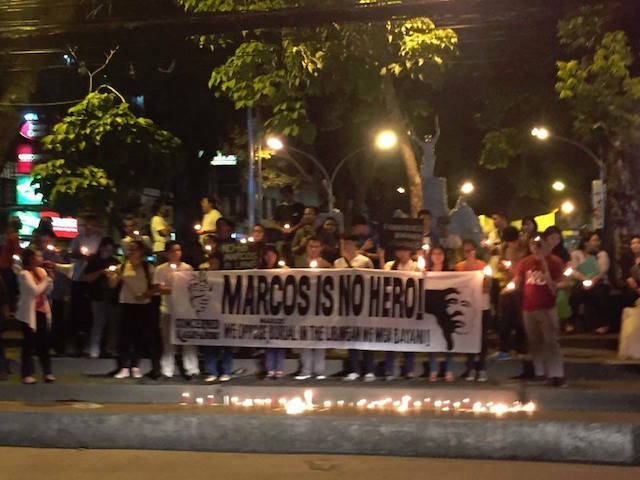 President Rodrigo Duterte had pushed for the burial of Marcos during the campaign and as President. 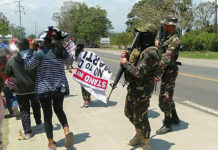 In the early hours of August 7, he told reporters at the Eastern Mindanao Command’s covered court, where the wake for four soldiers slain in clashes with the New People’s Army was held, that he had given the go-signal for Marcos’ burial. Duterte in a past midnight press conference that day said the former President and soldier, is qualified to be buried there. “We are a divided nation. Out of 10, maybe nine nagsentimyento. Only one hates Marcos, but that is not the point. The point is, he is qualified … his family has that right to bury their father or husband because he was president of the Republic of the Philippines and he was a soldier at one time of his life,” he said. 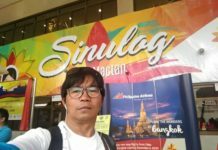 “We realize that Davaoeños have a unique voice in our continuing journey for a more just Philippines and we will sustain the use of that voice. We will study the ruling fully and discern the viability of supporting motions for reconsideration within the 15-day window allowed by law. Now more than ever, we realize the value of uniting with other citizens; and so we will continue to coordinate with other groups who oppose the hero’s burial,” the statement read. 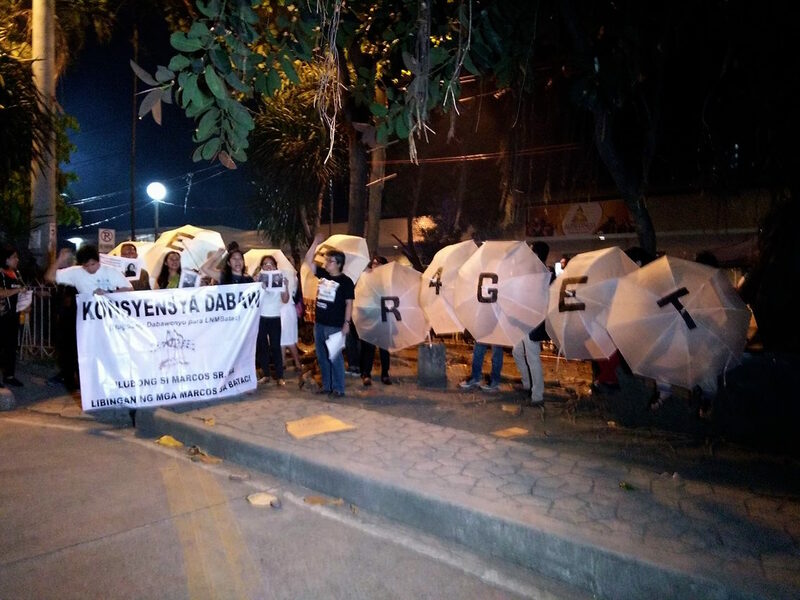 Before Tuesday night’s protest action, Konsyensya Dabaw had staged four protest actions against the burial of Marcos at the LNMB, proposing instead to have his remains buried in Batac, Ilocos Norte. “As citizens, we also need to reflect on the power of our own choices and conduct in the different spaces we inhabit so that we avoid unwittingly supporting the forces of intolerance and absolutism. Critical thinking, discernment, and democratic discourse are citizens’ tools against thought monopoly and repression,” it said.